The Swedish fast fashion giant H&M finally opened its doors to Chennai yesterday after a year and a half of having a presence in India, and a few months after it opened in Mumbai. If you’re from here, you’d that this is astonishingly quick. We’re still waiting for Forever21 to start shop, and for Zara to stop selling fur lined jackets during Chennai summers. I had no plans of going on opening day for the same reason I avoid zoos during school holidays, but after swiping through the barrage of posts on my instagram that morning, it became increasingly difficult to resist, and I caved in at around 4 pm. My sister, who has as many opinions as she has clothes, came with me. The store covers two floors, with one floor (ground) stocking women’s clothes and accessories, and the one on top for men’s and kids. We entered through the ground floor, and the first set of clothes we saw were from their Autumn Winter ’16 collection. Think sateen bomber jackets with patches on, short, sparkly lurex skirts and jumpsuits, sheer blouses and other clothes that are categorized under party/festive. I personally categorize them as ‘clothes I’m too old for’. My sister picked up a beautiful, slinky emerald dress from their conscious collection but closer inspection revealed a medium sized, murky stain. There was only one more piece in her size (small), and unfortunately, even that had a stain. My sister loved the dress so much that she tried scratching at the stain in the hope that it would go away, but it didn’t. Later, when we explained the situation at the billing counter, the sales assistant had a go at scratching it as well, and then put it away. I guess it just wasn’t meant to be. In hindsight, we could’ve just asked for a discount. What really surprised me about the H&M store was the crowd there.We knew we’d encounter groups of squealy girls (who were squealing about finding clothes in extra small sizes), but we had no idea that everyone there would be so…well dressed. Like I don’t think I’ve ever encountered so many well dressed people from Chennai per square foot until that day, and it didn’t help that my sister and I were in old kurtas and pants because well, it was H&M. Who dresses up for going to a shop that’s renowned for selling cheap, trendy clothing? Aren’t they the prettiest earrings? Between my sister and myself, we got a dress, a pair of pants, three tops, and a pair of earrings, all from their conscious collection . It’s also worth noting that they have their conscious bins in the store. If you bring in a bag of old clothing (brand no bar), they will recycle it for you and give you a 15% discount on your bill. So if you’ve a lot of stuff that you want to get rid of, I’d recommend this approach! I’d also recommend you read about the dangers of the fast fashion industry, minimalism, and the growing tribe of women who are adopting the capsule wardrobe approach. I’m personally a huge fan of a particular sustainable shopping method called ‘steal from your sister’. It really works. The store stocks an impressive collection of basic dresses, tops and tees in their trademark you-can-see-my-bra-in-this-right jersey and nasty-but-will-last-a-long-time polyester blend materials, and clothes from their sporty/nautical LOGG brand. There was also a nice denim section, a compact plus-size section, and a lingerie department which we couldn’t see much of because the massive queue for the few trial rooms had invariably spilled over there. We did see some cute swimsuits, though. I hope they plan to restock them more often, and that it wasn’t an opening day thing where they never restock and the stray bottoms that don’t sell just wilt on the hangers for years to come. The store has a decent selection of work wear, active wear and maternity clothes as well, but it must be said that the smaller sizes are fewer in number (we feel you, squealy girls), although I’m not sure if it was because the morning crowds snapped them all up. Now, do they have the full collection from their catalogue? No. If you look at the website, you’ll know that only 40% is in store. Like, their shoe selection was bleak – apart from a few basic pumps, the only other option was shearling booties, which make zero sense unless you’re a trendy sherpa taking a break in Chennai. Still, it’s not entirely hopeless, and knowing this city’s luck with fashion, that’s as good a start as any. How To Start Your Bullet Journal – Today! I’d posted a tiny video on my instagram today – it was of my bullet journal, and I had asked if anyone would be interested in knowing how to start a bullet journal in a quick and simple manner. I got so many yes-es! So without further ado, here’s a quick guide on how to get started with bullet journaling. But first – What’s a Bullet Journal? A bullet journal is a system of logging tasks that was created by New York City designer Ryder Caroll. It’s pretty straightforward – you write down a title/topic, like the day’s to-do list or a say, a list of things to buy/do for a party you’re planning on top of the page, and list the associated tasks down using bullet marks and short sentences. Once you’ve completed a task, you cross out the bullet to indicate its completion. The official Bullet Journal website has a sort of key (dot for tasks, an ‘o’ for events, hyphens for notes, and so on), but I personally just follow the dot system, and cross the dot out when my task is done. How is this different from using any other planner? It’s different because it’s entirely customizable. While I do follow certain methods that have been listed by Ryder Caroll (I use the monthly layout), I don’t use all of them. There’s no pressure to follow the rigid formats that planners have, so you write your tasks down exactly the way you want to write them, and in the order that you want to write them. Okay, now what do I need to get started? All you need is a notebook and a pen. Nothing fancy, any plain ruled or unruled notebook will do. I use a Moleskine but any notebook will do. It can be ruled, unruled, dotted, whatever you like. Here’s the most important rule about starting a bullet journal – IGNORE PINTEREST. You’ll see photos of beautifully handwritten, illustrated, coloured journals which will take a minimum of 3 years just to set up. All you really need are two layouts – a monthly (or weekly) layout, and a daily task list. I use a monthly task list and a daily task list. Here’s what I do – at the start of every month, I take a fresh double page, and make a little calendar on one side of the page. On the other side of the page, I list down tasks for that month. No, I’m not telling you where I work, or whose invoices I’m chasing. Once this is done, I start my daily task list, which is basically the date on top and the list of tasks for the day written down. When I’m done with a task I either cross out the bullet mark, or put a tick next to it. If I can’t get something in my list done, it goes over to the task list for the next day, or whichever date I think it’ll work best. Sometimes, when I don’t see an end in sight, I list it in the monthly task list so that I don’t miss it. What a daily task list looks like. You may have noticed that I’ve stayed away from the doodling & the colouring. I recommend you stay away from them too, at least until you’ve a solid routine in place. The idea is to have a notebook that will help you get stuff done quickly. All of this sounds easy, but will I stick to it? Make sure your journal is a notebook that fits into your work bag. You’ll need to be carrying this everyday. Pretty notebooks are a bonus. It is recommended that you write down the day’s task the night before, but who has the time for that? I do, however, take my journal out first thing when I reach work. I write down my tasks, and use that to plan my day. It only takes an extra five, ten minutes, but I get way more work done. Write down tasks in the order of unpleasantness. TRUST ME ON THIS.Get rid of the annoying stuff first and the rest of your day will be so much better. Remember that it’s okay if you miss a day, or don’t fill up stuff for the weekends. That’s one of the great things about the bullet journal. There’s no empty space staring at you disapprovingly. Don’t leave spaces between days. If you have only five tasks for a day and it covers half a page, leave a couple of lines and write down the next day’s date and tasks. Not wasting space makes your journal look good, and also encourages you to keep at it. That’s pretty much it, actually. Given that November has only now begun, I do hope you try it for this month and see how it goes. Also, I did write about how to be productive in the October 2016 issue of Elle, so please do check that out as well. I’ve even listed some apps that help me focus and get more done during my day. I consider myself very, very lucky to be as busy as I am these days, and it’s thanks to these hacks that I’m able to get through! I have a Pinterest board where I pin inspiration for bullet journals, so you can follow me there, too! Keep in mind that these are just ideas – if you have something that works for you, stick to that. Colouring is pretty, but productivity is better. Origin One October 2016 Box – Review! I caved into the Origin One October 2016 Stationery Subscription Box (The Diwali edition, it’s called?) sometime last month, and I have to say, I’m more than just pleased with it! Before I go into what’s in the box, a confession: I’m a huge stationery junkie -My desk is littered with pens in colours that I’ll never need, along with pencils, coloured pencils, spare pens lest the ones I have run out of ink, and refills for the spares. As if that’s not bad enough, I’ve piles and piles of beautiful, expensive notebooks that I’ve left unused because they’re too pretty to use, and more piles of regular notebooks that I purchase in lieu of using up my pretty ones. Basically, a good part of my paycheck evaporates every time I so much as think about paper goods. Anyway, so I was stalking around instagram a few weeks ago when a very well placed advertisement for the Origin One store showed up on my feed. Naturally, I wasn’t going to ignore photos of gorgeous, well designed stationery, and a few clicks later, I found myself ordering their stationery ‘subscription’ box. The idea of a stationery subscription box was something I found exciting because if you’re anything like me, you don’t purchase stationery on a need basis (and probably have more paper related paraphernalia than you have storage space), which is why it’s nice to be surprised with a variety of different products. I placed the order for the Big October 2016 box (which was Rs.2,000/-, they also have a small version for Rs. 1,000/-) on the 24th of September and it was home on the 29th (they start shipping on the 25th of the previous month, I’m told). It was packaged in this wonderfully old-style fashion, with a colourful watercolour wrapping paper that was held with string, a detail that I loved – it was like opening a present (that you gave yourself but whatever)! The contents were just as impressive. More pictures! How cute, right? Also: HOW CRAZY GOOD ARE MY PHOTOSHOP SKYLLZ RIGHT NOW?!! All the products are really well designed and functional, although the only product I actually ‘used’ was the little sweet that they’d sent. At least I hope it was a sweet (either that, or I had some really tasty glue). The checklist notepad is genius, the notebook is small, but I loved how the pages were designed (they’re dotted on one side and ruled on the other), the coasters – 4 in total – are sturdy despite being made of paper and I can’t wait to print photos for the frame. The envelopes and cards are also exceedingly pretty for gifting and stuff, but knowing me and my alpam tendencies, they’re going to stay unused in that package for a long time. Speaking of alpam tendencies, I’ve also saved the watercolour paper and the strings lest an occasion comes tomorrow where I’ve to wrap a present (although the truth is that I’m so alpam that I’ll never use it and might end up keeping it until it becomes mouldy or something and I’m forced to throw it away). Am I happy with this box? Absolutely. Would I order another box? Hm, I wouldn’t want a repeat of the stuff that I already got, so provided that doesn’t happen, most definitely! Given the variety of products that they have (they have planner stickers, even!) it shouldn’t happen, but if it does, then eh, I’ll stick with Hindustan Trading Centre, thanks. Are you a stationery nut too? Where do you buy stuff? TELL ME EVERYTHING. If you’re an avid Pinterest user, like I am, you’d know that that place is essentially, internet quicksand. If you aren’t a Pinterest user, I do recommend you get on the platform, because in my opinion it’s the best social network that’s out there, primarily because you get to be with a group of people but don’t have to talk to anyone. It’s genius. Anyway, I was snooping around the website yesterday when I realized that I had clocked roughly 6,200 pins on my profile – this may sound like a feat, but it really isn’t – if anything, it’s an indicator of the massive amount of productive hours I’ve wasted on that website. ANYWAY, so I checked through my boards to see what exactly I’ve been pinning all these years, and even after deducting the 1300 odd jokes and memes I’d posted on my boards, I still had 4900 bookmarks that were either full of wisdom on how to improve myself in a variety of avenues, or stuff I wanted – which brings me to this post. I have been bookmarking internet wisdom for as long as I can remember but my following up skills after bookmarking have been non-existent – probably because when I actually want to try something it ends up being beyond the reach of my skill sets. HOWEVER, I thought I’d share 5 pins here from my Do-It-Yourself board (you know, stuff that you can buy for like Rs. 10/- but you’d rather spend Rs. 500/- on buying craft supplies to make them. Those) which I have tried, and they’ve worked for me so basically they’re idiot proof. Notes: I’m always forgetting what necklaces I have and never really end up wearing anything when I go out, so the idea of having a display where I could see everything was something I immediately got on board with. Ideally I ought to have hunted down a vintage frame and then put hooks in it, but let’s get real no one has the time for that, so instead I used a cork board and push pins to create a hanging necklace display. Now I get to see what I have every morning and continue to not wear anything. Notes: I left the bulk of my bookshelf back home when I moved in with Suhrith, so organizing my bookshelves in my new place was a far easier task than it would have been with my original shelves back home (it is pointless to even try it there). Even then, I’d always found my bookshelf a little bleh, so I took the tip of adding ‘accents’ (stuff you wouldn’t normally put in a bookshelf) from Pinterest, and now look – so pretty! I’m also glad to report that I’ve maintained my bookshelf’s neatness by buying new books only in the Kindle. Notes: This is probably my favourite Pinterest thing of the lot. Making the crane isn’t easy on first go,and there’s a chance you might tear up some paper out of frustration trying to figure out the petal fold (I did) but the more you practice, the easier it becomes. Basically, I made cranes, and taped them to the bottom of my shelf with white thread. I’ve added three more cranes from the time I took this photo, and it really is the happiest corner in my study. SO, 200 DIY pins later, I managed to like, do 5. Have you had any success with Pinterest things? Let me know if you’d like more me/idiot-proof pins and I’ll be sure to post them here! So I racked up one million hits on my blog a month ago, and decided that there was no better time to junk everything and start afresh, so here I am. I finally made the move from blogger and its older-than-my-grandma interface and tools and switched over to WordPress, which is kind of like driving a Ferrari after nine years of struggling with a Maruti 800 (without power steering). All my posts are intact, comments and all, and I even managed to create a separate page for my TV column (which, as I’ve just realised, I’ve been writing for a year now! ), so hopefully, the new space inspires some more pointless thoughts. 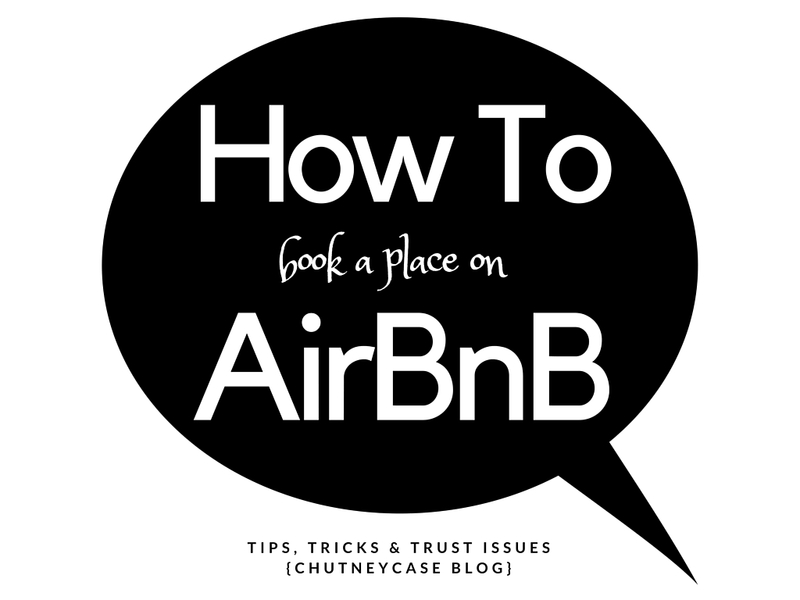 A few days ago, I’d read about a terrible experience that a dear old friend (and idol), Naren, had with AirBnB. Now, for those of you who aren’t familiar, AirBnB is an awesome service that lets you rent Apartments and Private Rooms (or if you don’t care much for privacy, shared rooms) in pretty much any city in the world that you want to holiday in. Rule 1: Read the reviews! I cannot stress on this enough, especially if it’s your first time booking a space on the website. Also keep in mind that a place with a four star rating after 200 reviews is a safer bet than a place with a 5 star rating and 2 reviews. I’m sure the 5 star rating place would be great, but for your first stay you want something tried and tested, with special emphasis on the tried. And tested. I read at least 25 reviews before I zero in on a place. Yes. I know. Rule 2: Verify your account! Now, the hosts aren’t the only ones who get reviewed, the users/guests do, too. So it’s only natural that well rated hosts are more likely to give their houses to well rated guests, which can be a problem when it’s your first time figuring out a place to stay on AirBnB. The idea is to be the least shady as possible so ensure that you verify your account with your phone number and email. Where is the apartment located, exactly? What kind of neighbourhood is it in? Is it accessible by Taxi? How close/far away is it from public transport? There are great apartments in shady areas and shady apartments in great areas, so don’t be swayed by the photos of the apartment alone, look up the area that your housing is located in. Rule 6: Be detailed and polite in your email to the host. For most spaces, you’ll have to send a message to your host explaining the reason why you want to book their place. Suffice to say “Hai Plz give room” isn’t going to cut it. Introduce yourself, where you’re from, who you’re travelling with to their city, how many days you’re going to be there, and how great it would be if they’d let you have their place for your stay. You don’t need to write an essay, but providing necessary details about your trip (especially about the people you’re travelling with) will make you seem like a more reliable guest. This isn’t an essential issue, but I am conscious about the experiences of people of colour (hello fellow brown people!) in the apartment. The world isn’t the most perfect place, and it is better for the sake of your vacation to be sure that your host is one who doesn’t discriminate. Congratulations! You’ve got a room using AirBnB. To ensure that future bookings go even smoother, you need a good review, and in order for that to happen, you should respect the other person’s space. This means tidying up the bed, cleaning the kitchenette counter, taking the garbage out and generally not leaving it like your own room back home. I love AirBnB and ever since I discovered the service last year, I’ve not even considered a hotel for travels. It’s affordable, it’s efficient and gives your holiday a kind of authenticity that staying in a hotel never will. Have you tried AirBnB? What have your experiences been like so far? So around November of 2008, I wrote a short story called “Deviance” about a Tamil dude who wanted to marry another man. The story was essentially the result of one of those “what were we even thinking?” conversations with another friend, (the erstwhile) IdlingInTopGear, except I actually wrote what we were thinking/talking into a story. The story became popular in a very 2008 way – some people made into an e-mail forward with extra punctuation, some others posted it on their own blogs and so on; It also became a short film, starring very talented actors from the Chennai theatre circuit and was featured in an LGBT Film Festival in Chennai, too – it’s currently on a Youtube Channel for Indie short films called Bench Culture which is promoted by Karthik Subburaj, of Jigarthanda/Pizza fame . I’ve written a lot since then, but in all honesty, Deviance remains one of my biggest accomplishments in writing, not because of the popularity it achieved, but because a few people from the Tamil gay community reached out to me to tell me that they found it hilarious, and that for me was the greatest piece of validation. Anyway, so 8 whole years later after I wrote Deviance, this news item comes up on my feed about an adorable gay couple who had a traditional, South Indian style wedding with pretty much everything that I’d imagined in the story! b) More people need to know about my Nostradamus-ness OKAY. Stephen King’s indispensable and part autobiographical guide on writing, and writing well is a book you must read if you are a writer, or at least want to be a writer. Did I pick this book up because I have a writer inside me, or did I pick it up because of a fellow dog on the cover? I guess you’ll never know. The first book I got my mouth on is Vinod Mehta’s Editor Unplugged, which offers an informative and hilarious account of the life of one of India’s greatest editors. I got through this with such enthusiasm that the humans at home had to buy a second copy to find out what the fuss was about. Before I got to this book, I honestly had no idea that I had a taste for Booker Winners. All you need to know about how much I enjoyed Remains Of The Day is to see the remains of this book. The person typing this can’t say anything about the book though, because she didn’t get to read it. I wonder why. I love cheese, I’ve recently started loving sweet potatoes, I love yoghurt, but you know what I’ve always loved? Love. That’s why I loved this book full of love stories that are varied, and heavy with emotion. I also love that Annie was nice enough to autograph this for me. Thanks Annie. Have to say, you’ve pretty excellent taste, too. So I’ve been listening to a lot of podcasts lately, to the point where I wrote about them for The Hindu THread. As an addendum, I just thought that I’d list down five podcasts I’ve been listening to recently, and wouldn’t hesitate to recommend. Would also greatly appreciate podcast recommendations, so fire away! I’ve been trying to teach myself how to sew for a few months now. 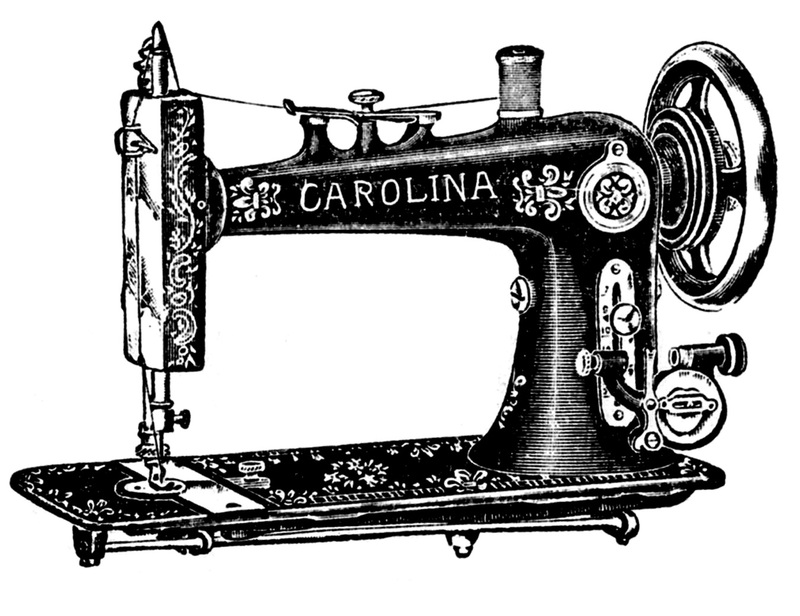 This desire to operate a sewing machine didn’t stem from any designer aspirations as much as it did from the frustration of having busted seams on the sleeves of once favourite tops and altering tight/loose clothes into better fitting ones as opposed to giving them away to smaller/larger friends and relatives. I can now hem neatly, and a lot of my older clothes are more wearable now thanks to my alterations. A week ago, I got started on my most ambitious project yet, to stitch a basic saree blouse. I’d taken the measurements from a blouse I had already owned and things were going swimmingly until I had to measure out the sleeves. I ironed my alavu blouse’s sleeve to get the perfect measurement and lo – the iron box had left a large gaping hole in the silk sleeve because I hadn’t the basic sense to reduce the temperature on the iron while switching fabrics from cotton to silk. It took my eyes a good two minutes to adjust to the horror which was this crooked hole marring my otherwise beautiful, floral printed silk blouse. I thought about crying, almost did and nearly gave my new hobby up altogether. Then, in what felt like a Tim Gunn inspired trance, I removed the sleeves completely, and carefully hemmed the edges, making the half sleeve blouse, a sleeveless one. The final, altered product looked as good as the original, if not better, and I don’t think any project that I had undertaken thus far in my life had given me the amount of satisfaction that this sleeve operation did. In my obvious excitement, I texted my sister photos of the blouse with the hole, and what it looked like when it was fixed. It feels brilliant to know how to sew, I told her. Isn’t it the most useful thing in the world? I can teach you, you know. Basic hems and stitches to fix holes and stuff in case something like this happens to you too. Oh that won’t be necessary, she told me silkily. I know how to use an iron. Hello! Welcome to my blog. Here, I write about pretty much anything and everything that catches my fancy. I hope you enjoy reading my posts as much as I enjoyed writing them! The Hindu thREAD - How's an athlete to find her feat? BuzzFeed - How Madrasi Are You? Get Above 45 on This Quiz To Prove You're Really From Chennai! 1. The Chetan Bhagat Plot Generator - Why buy another CB novel when you can make your own? Give the Chetan Bhagat Plot Generator a whirl, today! 2. Angst - If you want to write means, write Sriramajayam 108 times. At least some punyam will come for you. 5. Leadership, and Such - A (mostly) honest account of my nemesis from school, Powder Subramani. © Copyright Chutneycase 2019. Powered by WordPress.